Election year is finally here and it is certainly one for the record books. One way or another, I have a feeling that this election year will be a pivotal moment in American history. While it is understandable that many history teachers may not want to get into political debates with their students or disclose their political leanings, it is still our responsibility to create upstanding citizens. One of the foundations of a representative democracy is voting. So here are some great tools to use to teach students about the civic virtue of voting in the upcoming election in November. iCivics Election Resources: Key terms, lessons, and general information about elections. 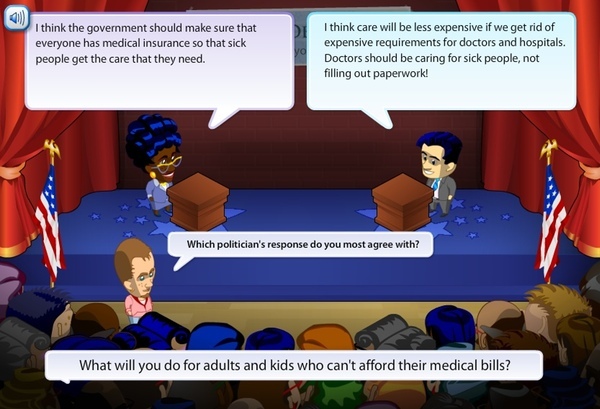 Cast Your Vote (by iCivics): What issues do you want to ask candidates about? In Cast Your Vote, you choose the questions in a debate, rate their responses, and vote for the candidate of your choice.